ROA attended the Reserve Forces Policy Board’s quarterly meeting in the Pentagon. RFPB advises the Secretary of Defense on reserve component issues and suggests changes in policy and legislation benefiting reserve component servicemembers. 1.) GO/FO 3 star: Recommend a legislative proposal reinstating the requirement that the Vice Chief of the National Guard Bureau, Directors of the Army and Air National Guard, and the chiefs of the Reserve Component have the rank of O-9. 3.) 12301 (a) Medical Hold: Recommend supporting GI Bill Fairness Act of 2017 adding Title 10 12301 (a) as period of active duty to Title 38, section 3301 (1)(B) for the purpose of accruing Post 9/11 GI Bill benefits. 2.) 12304b: Support H.R. 1384 and S.667, which would prove benefit parity for servicemembers deployed under 12304b duty orders. Q: My father was a retired Army Reserve Colonel and a life member of the Reserve Officers Association (ROA). My father graduated from college in 1965 and was commissioned a Second Lieutenant, via the Army Reserve Officers Training Corps (ROTC). He then served on active duty for four years, including a year in Vietnam. In 1969, my father was released from active duty and affiliated with the Army Reserve. He served in that capacity for the next 25 years, until he retired in 1994. My father passed away quite recently, and I am making the funeral arrangements. I heard my father say, on more than one occasion, that he wanted to be buried in a national cemetery operated by the United States Department of Veterans Affairs (VA). At my request, the funeral director contacted the closest VA national cemetery and was told that we must produce a copy of my father’s DD-214 before he can be buried in a national cemetery. What is a DD-214? If I cannot find this form in my father’s papers, how do I obtain a duplicate? Is there a way to obtain the duplicate DD-214 in a hurry, so that we can honor my father’s wishes without having to delay the funeral? A: In 1969, when he left active duty, your father received a very important form—the DD-214. The form shows the date that he entered active duty, in 1965, and the date that he left active duty, in 1969. The form shows that he served in Vietnam for a year. The form shows that he served honorably. If he earned and was awarded any military medals during his active duty period, the DD-214 should show that information. This company will find your father’s DD-214 and send you a duplicate by e-mail, probably on the same day that you make the request. The charge for this expedited service is $79. You will probably spend that money cheerfully, to avoid having to postpone the funeral. https://www.thebalance.com/getting-a-copy-of-your-military-records-3331990 You should expect to wait some weeks for the form when you order by this method. You need the DD-214 for many important reasons, not just for burial in a VA national cemetery. If you cannot find the DD-214 that you received when you left active duty, you should order a duplicate copy today. The U.S. Army submitted a $12.7B FY 2018 wish list outlining their main priorities, which were not included in the FY 2018 budget request. Their wish list includes increasing the Total Force by 17,000. That 17,000 is broken down into 10,000 active duty, 4,000 Army National Guard, and 3,000 Army Reserve personnel. Besides increasing the total force numbers for the Army, the wish list requests money for more munition stockpiles, modernizing brigade combat teams and vertical lift units, procuring more aircraft, and other equipment modernization efforts. About 30 Pennsylvania National Guardsmen participated in Saber Knight, a joint European exercise. Participating nations included Estonia, Latvia, Lithuania, Denmark, and Slovakia. Saber Knight is part of the larger Joint U.S.-European Saber Strike exercise conducted since 2010. 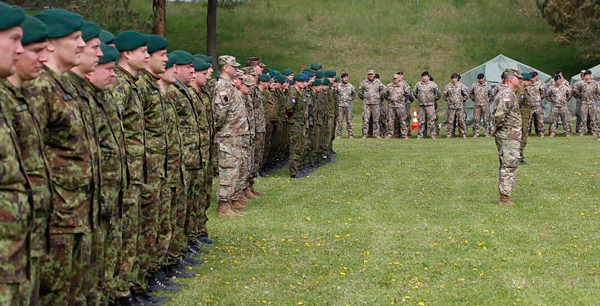 The National Guard units picked up valuable experience interacting with their Scandinavian and Baltic counterparts. This is increasingly important as Russia becomes more assertive in the Scandinavian and Baltic region. Army National Guard units participate in the ongoing Combined Resolve VIII exercise. The exercise includes over ten NATO countries and 3,400 participants. The overall aim is to practice coordination in order to more effectively conduct ground operations against a NATO adversary like Russia. 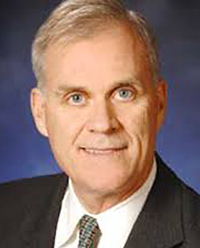 President Trump has nominated Richard V. Spencer, an investment banker and former Marine aviator. Spencer served in the Marine Corps from 1976 to 1981. After leaving the Marine Corps, Spencer entered the business world where he worked at various Wall Street firms. He was the Vice Chairman and Chief Financial Officer for the International Commodity Exchange program from 2001 to 2008. He currently is the Managing Director of Fall Creek Management LLC. Beyond his business acumen, Spencer has worked in advisory roles for the government. 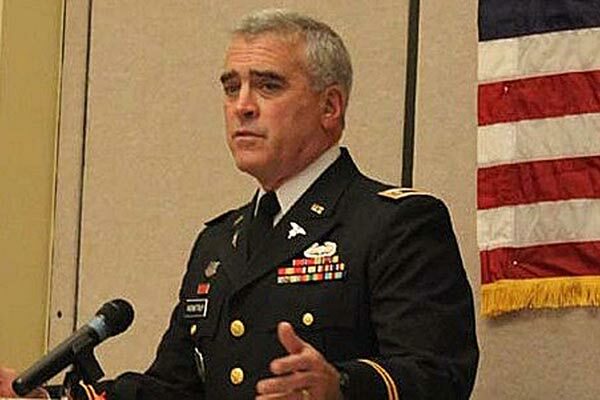 From 2009 to 2015, he served on the Defense Science Board, an advisory committee tasked with helping DoD navigate technological and acquisition issues. In that same vein, since December, Spencer has served as a technical adviser on the Chief Naval Operations Executive Panel. 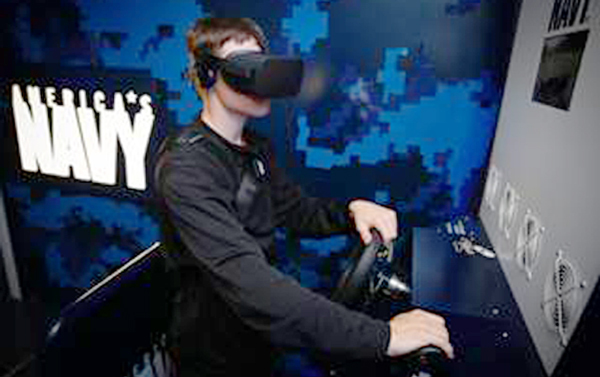 During Fleet Week, the United States Navy launched a recruiting process that features a virtual reality experience, where users are placed inside different tactical scenarios. The whole point of the system was to increase recruitment through a real world process so future Sailors could get a glimpse of what their service would be like. 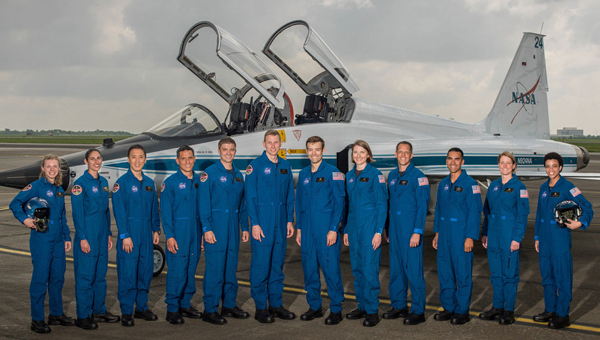 7 of the 12 men and women who made it into NASA’s 2017 astronaut candidate class are members of the military. Navy Lt. Cmdr. Matthew Dominick was commission through the Reserve Officer Training Corps and has been deployed twice as a Naval fighter pilot. Former Navy SEAL Jonny Kim served as a special warfare operator on SEAL Team Three as a combat medic, sniper, navigator, and point man on more than 100 combat missions. He later was commissioned into the medical corps through the Naval Reserve Officers Training Corps. Marine Corps Maj. Jasmin Moghbeli received a master’s degree in aerospace engineering from the Naval Postgraduate School. Before being selected by NASA, she was testing H-1 helicopters and serving as the quality assurance and avionics officer for Marine Operational Test and Evaluation in Arizona. Navy Lt. Kayla Barron graduate from the Naval Academy, and attended the Navy’s nuclear power and submarine officer training before being assigned to the USS Maine. The President proposed a $1 billion cut to the Coast Guard’s budget back in March; after outcry from legislators and servicemembers, the President ultimately decided to keep the budget flat from FY17. 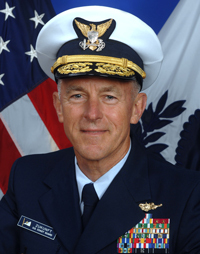 Admiral Paul Zukunft believes the Coast Guard can often be forgotten, considering only 4% of the branches budget is funded through the Department of Defense. Admiral Zukunft worries that potential future cuts to the Coast Guard budget could hurt the reserve components the most. Discussing funding levels, the Admiral said: “We’ve made some difficult choices in the past… We trimmed 1,100 billets out of our reserve component, which right now is the smallest it has been since the Korean War… This is not a good place for us to be”. The Air Force submitted a $10.7B FY 2018 budget wish list. Nearly two-thirds of the wish list is devoted towards readiness and modernization. The remaining 1/3 of the budget (around $4B) is divided amongst space programs, nuclear deterrence, cyber, infrastructure, and other sundry programs. Included in the Air Force procurement is 14 more F-35As and three KC-46 tankers. The Air Force has opened up two international affairs occupations for Guardsmen and Reservist officers under the Voluntary Limited Period of Active Duty program (VLADP). VLADP allows Guardsmen and reservists to work in vacant active-duty jobs for up to three years. The two specialties are regional affairs strategist and political-military affairs strategist. The main functions of these specialties is providing language skills and foreign affairs expertise. Foreign affairs talent is absolutely critical as the U.S. remains engaged in Iraq, Afghanistan, and increasingly, in Eastern Europe. For those Reserve Component airmen who are interested, there is information on their myPers account. Memphis ROA Chapter members supported the 2017 Walk to Cure Arthritis, June 3, manning a water station for the participants. The walk raised $145,084 for the national Arthritis Foundation. Left photo, from left: Lt. Col. Mark Lane, USAR; and Lt. Col. Peter Eng, USAR (Ret.) Not shown but present: Maj. Gen. Rob Williamson, USA (Ret.) and Lt. Col. Judith Pruitt, USAR (Ret.). Right photo, from left: Lt. Col. John R. Cochran, chapter president, USAR (Ret. ); Lt. Col. Frank Navarra, USAR (Ret. ); and Lt. Col. Jim Thomasson, USAFR (Ret.). You are invited to attend the June 22 Corporate Gray Military-Friendly Job Fair and meet face-to-face with representatives from Lockheed Martin, Booz Allen Hamilton, CSRA, National Security Agency, Central Intelligence Agency, U.S. Postal Service, U.S. Customs and Border Protection, Leidos, MillerCoors, New York Life, AECOM, PenFed, Fulcrum IT, YRCI, LMI, and more! Job fair hours are 9 am to 12:30 pm, with an Employer Panel discussion starting at 8 am. The Waterford Reception Center is located at 6715 Commerce Street in Springfield, Virginia. Business attire recommended. Bring many copies of your resume. Be sure to research the companies in advance, including contacting people you know who are working there and ask for their assistance in matching your skills and experience with open jobs. For more information and to register for the event, visit www.corporategray.com/jobfairs/385. By pre-registering and uploading your resume, you'll receive the job fair employer directory in advance, and give the participating companies early access to your credentials. As the Department of Defense’s military exchange services prepare to welcome potentially 13 million honorably discharged Veterans back to their military families this coming Veteran’s Day, VetVerify.org has launched to confirm eligibility to receive a lifelong military exchange online shopping. Veterans may log onto VetVerify.org, which will use information from DoD’s Defense Manpower Data Center’s records and inform them of their ability to access this new benefit. If a Veteran’s record has character of service data and that data meets the criteria for the online benefit, the Veteran will be verified to shop. Then, beginning on Nov. 11, the Veteran can log onto to the Air Force, Army, Coast Guard, Marine Corps and Navy Exchange websites at shopmyexchange.com, shopcgx.com, mymcx.com and mynavyexchange.com for tax-free shopping. If a Veteran’s information is incomplete, VetVerify.org will provide guidance on next steps. Extending online shopping privileges to all honorably discharged Veterans will directly improve family and support programs for Soldiers, Airmen, Sailors, Marines and Coast Guard members as well as their families. Increased sales and earnings as a result of Veterans online shopping benefit have the potential to generate tens of millions of dollars in additional dividends to Quality-of-Life programs. These funds decrease taxpayers’ burden to support services and programs on military installations around the world. The Army & Air Force Exchange Service, Coast Guard Exchange Marine Corps Exchange and Navy Exchange currently provide more than $300 million in support for military Quality-of-Life programs annually. Army & Air Force Exchange Service shoppers worldwide can enter to win a brand-new Harley-Davidson motorcycle in the Dr Pepper Refresh, Win & Ride Sweepstakes! Through June 30, authorized shoppers can enter at shopmyexchange.com/sweepstakes. One lucky winner will win a 2017 Harley-Davidson Sportster Forty-Eight motorcycle, an $11,199 value. For more information, visit http://bit.ly/2rihrm9.